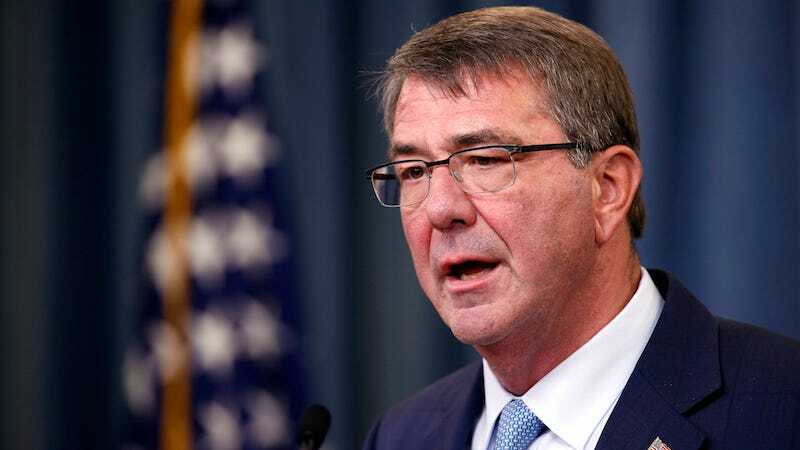 Defense Secretary Ash Carter announced Thursday that the military will allow transgender service members to serve openly in all branches of the armed forces. The decision ends the long-standing ban. The decision has been nearly a year in the making. Last July, Carter launched a study group to examine the ban. He also changed the rules about discharging troops diagnosed with “gender dysphoria,” requiring that the decision to discharge by cleared by top Pentagon officials. Previously, troops with “gender dysphoria” were medically discharged, a decision that effectively ended their careers. The study commissioned by the Pentagon found between 1,320 and 6,630 transgender troops are already on active duty service. In addition, the study found that lifting the ban would have little impact on “military readiness,” despite claims from some conservative members of the Armed Services Committee. Image of Defense Secretary Ash Carter via AP.